Ponce Inlet Florida is south of Daytona Beach on the peninsula bounded by the Atlantic Ocean, Ponce de Leon Inlet and the Halifax River. 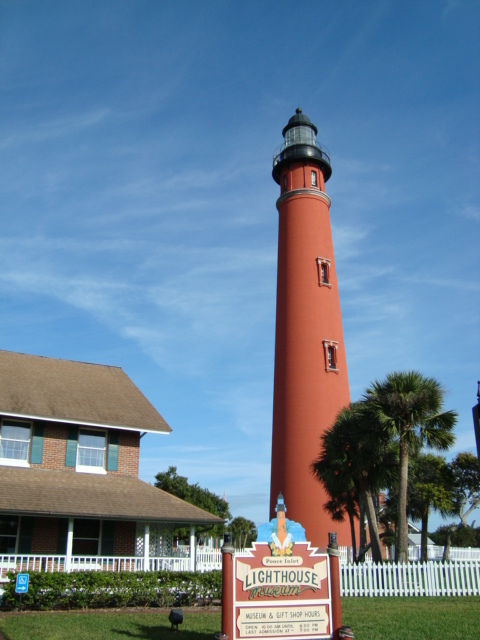 It's most famous feature is the Ponce de Leon Inlet Light Station, built in 1887. It has been lovingly restored by a lighthouse preservation society, and is one of best lighthouses to visit in the entire United States. More than 80,000 people visit the lighthouse every year. The lighhouse is flanked by several brick buildings, including one that houses a museum and gift shop. The lighthouse is the tallest in Florida and is the third tallest in the United States after only Cape Hatteras Light in North Carolina and Cape Charles Light in Virginia. The lighthouse is open to the public year around and you can climb to the top for a magnificent view of the Florida coast from Daytona Beach to New Smyrna Beach. The modern settlement of the area began in 1842 when Bartola Pacetti built a driftwood house on 50 acres north of the inlet. Mr. Pacetti was a descendant of one of the immigrants that Dr. Turnbull brought to Florida to settle his New Smyrna colony. 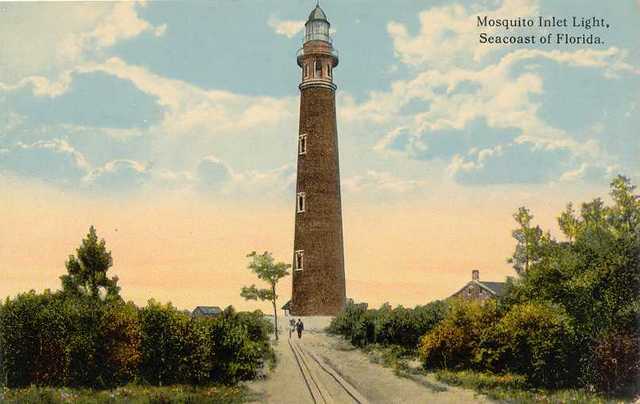 The government bought some land from the Pacetti family and built the lighthouse in 1887. The population of Ponce Inlet is about 3,000, and the homes range from oceanfront condominiums to modern new homes on heavily landscaped lots. Several of the local streets are unpaved, but easy to negotiate. There are many beautiful tree canopies over most of the streets in town. It is easy to tell that the town has some strict land use and landscaping regulations. They have paid off in one of the most beautiful residential communities in Florida. 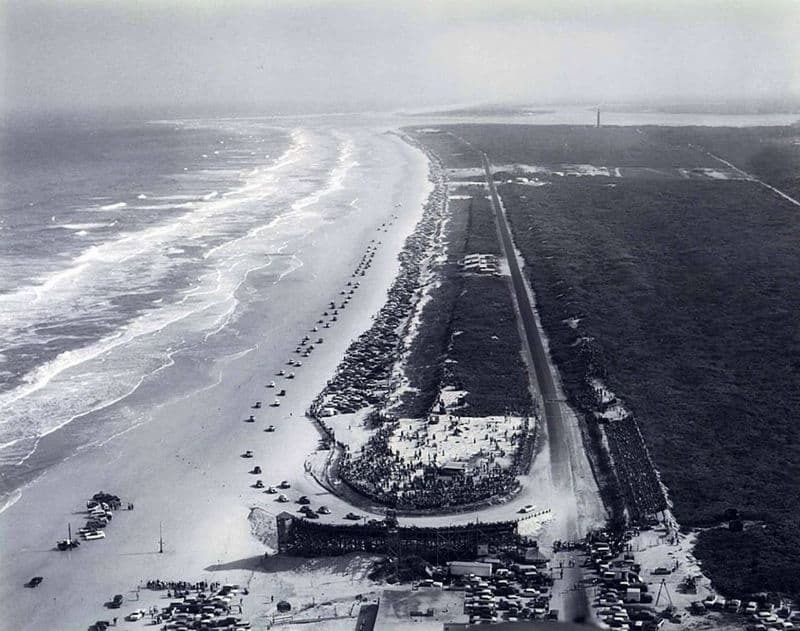 What little remains of old historic Ponce Inlet has been lovingly preserved not only by the lighthouse preservation society, but by the Town of Ponce Inlet and many volunteers over the years. There is a great little museum on Beach Street that tells the history of Ponce Inlet. 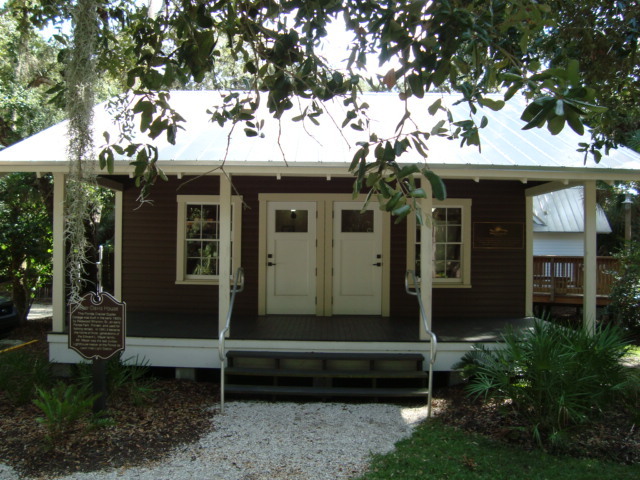 The museum is owned and operated by the Town of Ponce Inlet. A very well informed employee of the museum, Monica Drake, made my visit most interesting. Fishing has always been a way of life for Ponce Inlet, and the town has several working marinas and boatyards. There are boats to rent and day sails available at several locations along the waterfront. Ponce Inlet Lighthouse. Climb to the top of this historic lighthouse for a fantastic view of the ocean, with Daytona Beach to the north and New Smyrna Beach to the south. Marine Science Center. This is next to the lighthouse and offers information and exhibits on bird and sea turtle rehabilitation. There are nature trails and an observation tower. Ponce Inlet Jetty. These jetties protect Ponce de Leon Inlet, once known in pre-chamber of commerce days as Mosquito Inlet. Timucuan Oaks Botanical Garden. This new park is a couple of miles north of the lighthouse and has nature trails meandering through Location: 4550 S. Peninsula. Nature trails wind through the 8 acre garden. It also has a little picnic area. Ponce Inlet Historical Museum. A small place housed in a restored Florida Cracker duplex. A little pioneer cemetery across the shady canopied street. Great source of local history. I don't know of any hotels in Ponce Inlet proper, but there are hundreds of them just north in Daytona Beach. 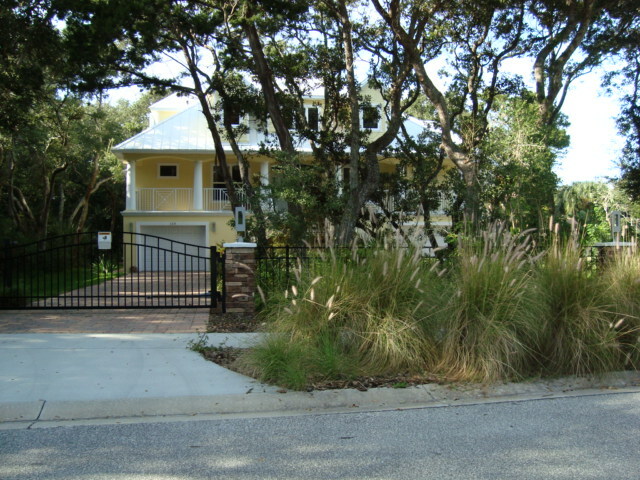 There are a few vacation rentals in Ponce Inlet that can be discovered by doing a Google search. 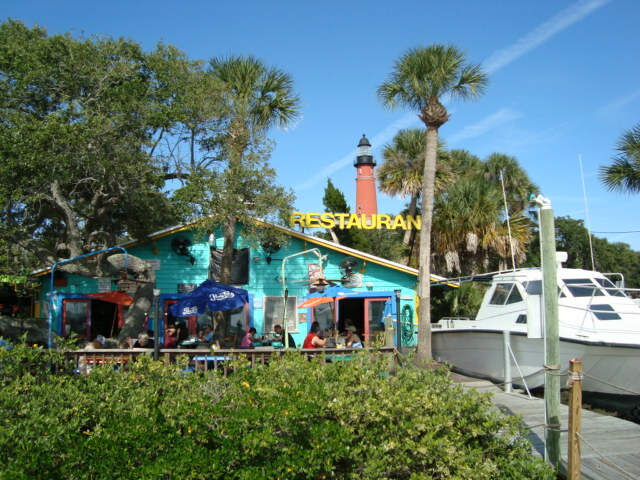 Hidden Treasure Rum Bar & Grill is on a bayou right off Ponce Inlet and in the shadow of the nearby Ponce Inlet Lighthouse. It is a rustic setting that will make you feel right at home in Old Florida. This is a great place to sit outside; if you don't feel like eating, they also have a nice tiki bar with a full service drink menu. 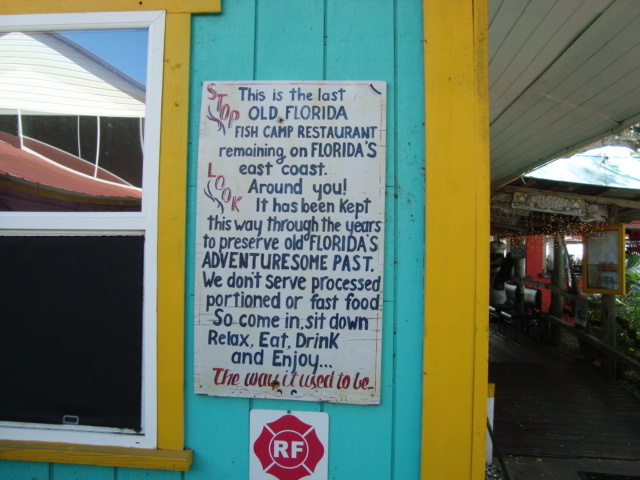 You can also eat at the tiki bar if you feel like it. Hidden Treasure has quite an extensive menu and offers a lot of appetizers and entrees. Needless to say, seafood is the specialty. An attention grabbing appetizer is their Florida Kracker Sampler. It includes fried gator, fish dip, steamed Key West shrimp and house chips. It's big enough to share with the whole table. Land based appetizers are led by Fried Dill Pickle Chips and my favorite, Sweet Corn Pops. The pops are like a hush puppy, fried golden brown in a light batter. They also have tasty chicken wings. 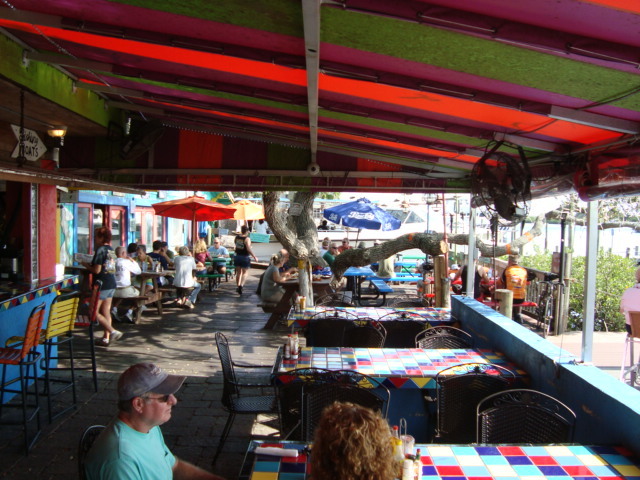 Their fresh seafood meals include fried baskets or larger entrees. Some of the seafood offerings include Alaskan snow crab, live Maine lobster, Key West Pink shrimp dinner, crab stuffed flounder, sea scallop dinner. They have handheld selections also like burgers, chicken sandwiches, fish Reuben, and cod, chicken or ribeye tacos. They also have oysters, mussels, clams and crab for the shell fish lover. Landlubbers will enjoy pasta scampi with various toppings, garlic chicken, BBQ pork chop or a steak dinner featuring sirloin, ribeye and prime rib. There are numerous pies and cake selections for the dessert lover.